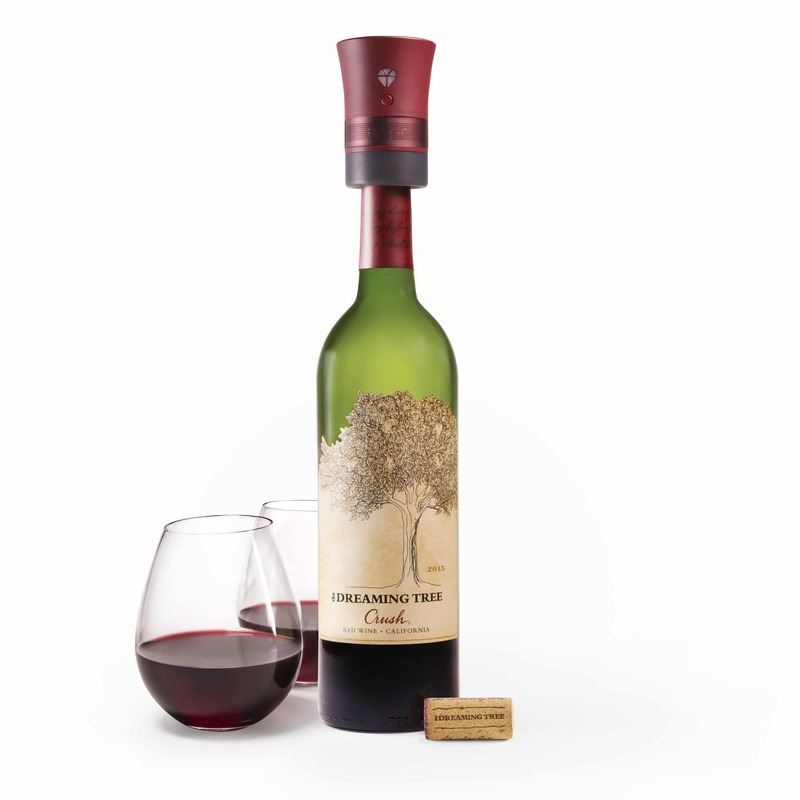 Just in time for holiday gifting, The Dreaming Tree Wines Cork Speaker is a limited-edition wine cork that also doubles as a Bluetooth speaker. It uses the wine bottle to amplify sound, bringing your favorite music to life while simultaneously keeping your favorite wine flavorful. The perfect gift for music and wine lovers alike, The Dreaming Tree Wines Cork Speaker is being sold alongside a bottle of the fan-favorite, award-winning Dreaming Tree Crush Red Blend. A portion of the proceeds from the sale of the Cork Speaker will also be donated to Living Lands and Waters and The Wilderness Society, which strives to protect our nation’s major rivers and forestry areas. The new Meiomi Sparkling wine just launched nationwide, just in time for those holiday entertaining occasions. It is a North Coast sparkling wine made in the traditional champagne-making method. Exuding aromas of green apple with hints of peach nectar, crunchy pear, citrus and honey combined with a fresh minerality, it’s a refreshing option that pairs well with nearly any cuisine—from gourmet to backyard barbeque. The wine itself is a light straw color with a whisper of pink, paying tribute to Meiomi’s origins as a Pinot Noir house. Packaged in a shatterproof, single serve, ready to pour cups, Woodbridge By Robert Mondavi’s Go-Glasses are the perfect stocking stuffer, secret Santa or just-because gift to give this holiday season. They’re also a convenient, no fuss entertaining option for your holiday revelry—whether that be a private dinner for two or a group get-together with those you love to hang out with. These single-serve wine options are certainly a great alternative for those non-champagne drinkers. Retailing for only $2.50 each, they are great for entertaining in bulk while not breaking the bank. The Woodbridge By Robert Mondavi Go-Glass is now available nationwide in Cabernet Sauvignon, Chardonnay, Pinot Grigio and Red Blend, offering a flavor choice suitable for pretty much anyone. Some or all of the accommodations(s), experience(s), item(s) and/or service(s) detailed above may have been provided at no cost or sponsored to accommodate this review, but all opinions expressed are entirely those of Merilee Kern and have not been influenced in any way.